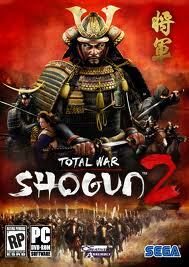 The awesome PC strategy game Total War: Shogun II is finally out! It is available on Steam so I recommend getting it now or even purchasing it at a store. At the very least try out the demo! Anyway, here are some Total War: Shogun 2 game fixes for those who need a guide to help them troubleshoot any issues in there way! *Update* Shogun 2 is currently on sale for $39.99 at Amazon! You can find Shogun 2 on sale here. Total War: Shogun 2 Limited Edition on Sale! If you want to install the game from the disc rather than having Steam download it for you, then perform the below steps. Not that those on a Macintosh (Mac) operating system will not be able to do this. This will launch Steam from the specified location and install from your E drive. Make sure to alter this to correspond to your settings of your Steam is located elsewhere or your CD/DVD drive is located elsewhere. 5) Hit OK, login, and have fun installing! This game does not come with an anti aliasing option. However, many graphics cards are capable of forcing anti-aliasing and VSYNC upon games and applications. Here you can edit your settings, such as VSYNC, Ant aliasing, and Anisotropic Filtering. Here you can mess with sampling, triple buffering, vertical sync, gamma correction, texture quality, GPU acceleration, and antialiasing. Simply override instead of using the global settings. Hit “Apply” when done. Forcing antialiasing on for ATI graphics cards is pretty similar to the procedure done for NVIDIA video cards. You are now to the tweaking option. You can adjust Anti-Aliasing, Anisotropic filtering, and other things here. Just make sure to click “Apply”. If you have purchased the Total War: SHOGUN 2 Limited Edition or received an exclusive pre-order code via participating retail outlets, you will need to connect to the internet, redeem your code through Steamworks and easily unlock your units for use in game. Install SHOGUN two and the Steam client as per instructions included with the game. Launch the Steam client and select “Activate a product on Steam…” under the “Games” menu. Step through the Steam Product activation wizard, entering the product code as prompted. 1. Exclusive ninja clan – available in single and multiplayer games from the clan selection screen. 2. Extra historical scenario – available in single and multiplayer games via the “Historic battles” menu. 3. Special armour for your avatar – it can be accessed from your avatar screen by clicking on the “Customize avatar” icon. This is a pretty broad title, I know. A lot of the fixes for this are the same though. It would be redundant to keep them separated. This also includes fixes for launch failure / failed to open, which isn’t uncommon. — Try running Total War: Shogun 2 in Windows XP compatibility mode through right clicking the exe -> properties -> compatibility and selecting it there. — Update your drivers (i.e. video card drivers) to the latest version. This generally not only provides you with an increase in frames per second (FPS) to help with stuttering or lagging, but can provide game fixes for things like weird textures, artifacts on the screen, pixilation, game crashes, and more. 3) Move the slider from “Full” and “Best” to “None” and “Good”. Click “OK”. Note that I recommend doing them one at a time rather than both at once on the off chance that you do not need to disable one or the other to fix the problem. Where is the DirectX 11 (DX11) Support? Unfortunately, as of right now you cannot enable DirectX 11 for this game. A patch will be available soon to provide Direct-X 11 support. This error isn’t usually one you can fix. That’s because it means that the server is crowded. The easiest and recommended solution is to just try again later, especially during odd hours. This is common mainly during the initial release of hot games. If you know any other game fixes for Total War: Shogun 2, then please share them! This game is too fun to be played with bugs, problems, and errors! Thanks! This entry was posted	on Tuesday, March 15th, 2011 at 8:32 AM	and is filed under . You can follow any responses to this entry through the RSS 2.0 feed. You can leave a response, or trackback from your own site. I subscribe to “no markers” problem. Don’t know if they are present only at first load of the game or it is because of some settings, but markers are quite helpful, often I don’t even know which unit is currently selected, among several of the same type. A possible workaround for loading saves crash is to move all your units on the map prior to saving. Not necessary to spend all their movement points, just to move them to the adjacent terrain is enough, or get the garrison out of the castle and then move them back. I checked it at season 17 and it worked. Another workaround I found is to name saves by numbers, no letters, but I didn’t check it, so I don’t know if it works. I can run the entire game on ultra with zero lag whatsoever. However, when I am inside a battle, regardless of force size, whenever I speed up the battle it gets laggy. I can still move the camera fine while on fast forward. but the world looks all jumpy and the time isn’t moving as fast as it should be. Fast forward is moving at about 2 secs for every one second -_- taking for ever to run down the clock. Owch Brandon. I know you said you can run it on ultra without a problem, but does this problem occur when you are on lower settings? No idea Naota. Didn’t try. Although sea battles do not seem to have that problem, which I noticed. Its not generally that big of a problem unless the computer is trying to get me to come out of the castle to attack them 30mins to the end of the battle lol. Well. It’s on Steam so patching is completely out of our hands. Like advice to “defrag”, you are sending people on a wild goose chase to suggest patching (force of habit though I’m sure). FWIW, I could not force AA with RivaTuner or NVidia Control panel, the “Avatar” faces looked the same and I could see no difference in jaggyness on the tops of buildings at the main game menu screen. I bought a new 5770 Hawk since my GTX 260 won’t support DX 10.1 shader and AA. I’ll not buy NVidia for my home game rig EVER again for this reason, if I can at all help it. So, using ATI Tray Tools I *AM* able to get AA working, however it introduces all sorts of “layering” (marker as others have described) issues where certain layers of the map don’t appear (those covering region boundaries, unit path arrows, and even the ocean’s in the game, you know.. *BUGS*, NOT performance issues). So, when Creative Assembly says they are optimizing “performance” and will release a patch “within” 4 weeks (you wait, it will be *at* 4 weeks, the whole “within” is just more leading us along I fear), what they mean is there are bugs, not performance issues. Why did SEGA release prematurely? Releasing a buggy game is like going to a check into cash, you only do it if you’re broke or stupid, but generally these things go together (a fool and his money are soon parted). SEGA and CA you have to understand that respect earns respect. BS earns you ire. Also remember, you can fool some people some of the time, but you can’t fool all the people all of the time. You’ll be hardpressed to find any modern PC game that doesn’t have bugs / problems. A game will work flawlessly with one PC configuration, yet be ridden when errors on the next. It seems to be common practice now a days. Even console versions have issues like this now since each console is becoming more and more similar to PC’s. It makes you wonder sometimes about how much testing is truly done before a game is released. Anyway, good luck & nice comment. I agree completely about the amount of testing. I think it’s like many other products on the market, they keep taking shortcuts that reduce cost but increase other burdens on the consumer and the environment (higher percent of failed products, quality of products dubious). So I’m just waiting for the patch to play the game again, it looks good enough on the turn based map screen, but in battles the flags, spears, arrows, tree’s, building edges, all look pretty bad without AA (jaggies galore with 152 spears, all skinny little lines that are moving with no AA). However, I have not seen a battle with AA on except in the pre-alpha footage, which looks far better than what I can get and was HD web video resolution (480p I believe). I have a decent rig. Numbers on right are win7 ratings. Card is MSI R5770 Hawk to be more precise. I think the DX API is “supposed” (key word) to make the underlying hardware transparent to the developers. Very new and very old hardware aside. Hm. Well for console I’ve had great success running games I own without issue, to name a few: Batman Arkham Asylum, Red Dead Redemption, Left 4 Dead 1 and 2. For PC, I didn’t have issue with Dragon Age 1 or Origins, Borderlands, Mass Effect 2. I just remembered that Empire Total War did have at least 1 bug, combining fleets with a ship on a trade icon rendering it immovable and wouldn’t generate trade. That was about it though and there was an easy workaround to just remove ships from the trade icon before combining fleets. The AI obviously would not utilize this trick and would have problems. Still, a quick google shows there were bugs that I didn’t encounter in most of those games. I understand that game architecture is extremely advanced and that I can’t fully appreciate the difficulty in coding a flawless product as I’m not a professional game developer. Anyway thanks for your comments DK. Ever time i start the game up, its just a black screen but the arrow still there and i can hear the game, any ideas how to solve this? Thanks for this advice on the install from DVD. Works on Windows 7 with a few changes to text. Saved me a 20GB download and a $16,000 internet bill. Cant move my troops when i rightclick whats the problem ? It keeps freezing on installation disk 2 at 13435/15690 mb, I could download the rest but with my internet it will take forever and will eat up my data usage and pretty much a whole month of my data usage, is there anyway to fix this? Should I give it more time like maybe a couple hours? Got a question if someone still reads this i got a 23 inch screen hooked up to my laptop but when i try to play it on the 23 inch it fails i trying windowed mode but then im only limited to 1366-768 resolution i tried changing it in the preference.script but to no avail any solutions? Do you have any other fix for loading saved game issues? I already tried what I have read here, but nothing works. Any solutions? Hi, can someone help me, ive just bought the game, when i go to install it the setup starts up fine, but when i click the agree to the terms and conditions, and then press install nothing happens and the setup screen is exactly the same, can anyone help? Its Ridiculous. When a game starts to install a c++ 2005 package, you know it’s old crappy coding. dx11 have been out for c# for a while, when people ask about multicore remember that parallel programming for multicore have never been developed or adressed. As a professional web developer i can’t undestand how gamins companies can release things that run so crappy. In any similar webdevelopmentscenario the whole department would get fired, if they released code that throws so many bugs. I think the whole issue is that many engines etc rely on old c++, because it took DirectX ages to jump into c#. Who uses c++ on a windows platform these days? Gaming industry and out of sync audio/studio companies that reuses old old instead of using the latest tools and languages. It’s the same with Cubase/steinberg – you often still see c++ coded so badly that it missed garbage collection – meaning that your application crashes because any unuse Memory has to be cleaned manually (in code) by the programmer. I suspect the many issues to be similar in gaming platforms and 3d engines. This kind of selling crap attitude is symptomatic to where the western civilisation is going these days: down the drain. I personally would like to kick som gamedevelopers in the nuts for wasting my precious sparetime. Hi, I purchased the game on disc. So i copied “C:\Program Files\Steam\Steam.exe” -install E: into Run but an error comes up saying: Windows cannot find “C:\Program Make sure you typed the name in correctly. What do i do? hi i have installed the total war shogun 2 but when i clicked the icon for launching the game my computer gets no response at all and still remain in the steam screen …i have tried to unstall it and reinstall couple times but still the same problem appears..plz if someone knows how to fix this problem..
its saying windows are cheaching for proble then nothing what can i do…. why my saved game keep crash. other is work fine. has solution for the crash ? I install the shogun 2 , my system is awesome , I installed all side software that the game needed, but still when I choose the compaign it stop in loading screen. I use skidrow cracks but I dont think the crash happen because of it. I loved Rome but this new game with too many problems is a real mess.